Ensuring that the business or the organization where you belong can execute prompt responses during the occurrences of various incidents can give you the confidence that there are proper and available measures that can be implemented to lessen the chances of making instances worse. With this, it is highly recommended for an incident action plan to be developed. 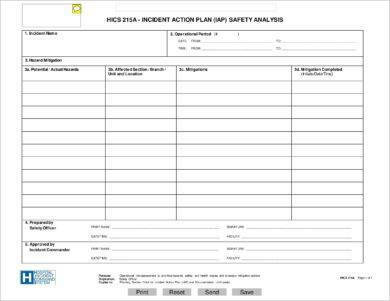 It is highly suggested for you to use a formal report template if you plan to develop the incident reports that will serve as the basis of the action plans that you will make and execute. The same goes with the development of your own incident action plan; ensure that you will focus on the format of the document as your presentation can also affect the efficiency and effectiveness of the document. 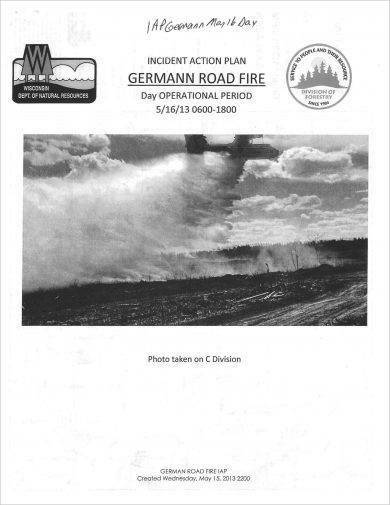 Refer to the list of downloadable incident action plan examples in PDF that are available for you to browse through in this post. Using document guides like the references that we have put together here can make it faster and easier for you to find the proper manner on how you can develop a complete, detailed, and presentable incident action plan. 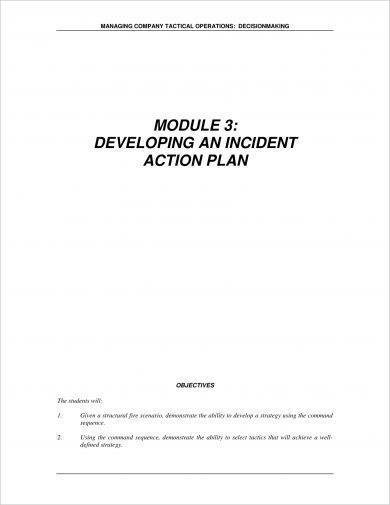 Why Is It Essential to Have an Incident Action Plan? 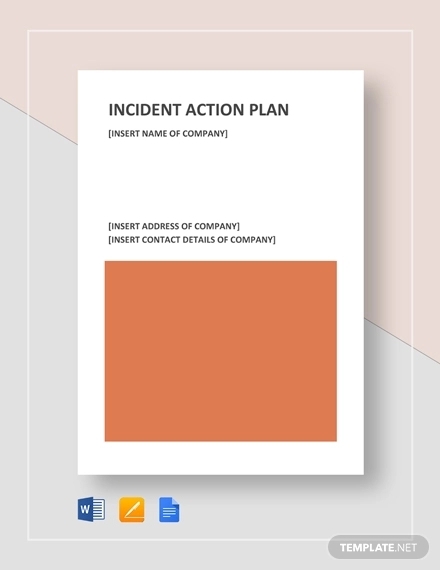 An incident action plan is composed of plan of actions that are based on HR reports, management notes, and other documents from the operations that present the previous incidents that the business has faced as well as the potential occurrences of different kinds of incidents based on the nature of operations of the organization. 1. An incident action plan can strengthen and establish the incident policies and protocols of your business. With the help of an incident action plan, you can make sure that there is an existing document that can serve as an evidence of the regulations that your business follows. Through this, clarity can be incorporated accordingly when it comes to the execution of actions to minimize incident results and address incidents when they happen. You may also see employee action plan examples. 2. 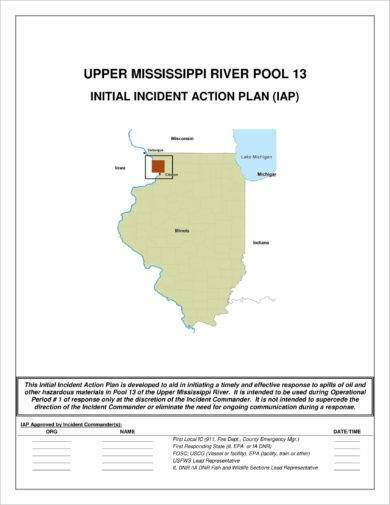 An incident action plan can promote ownership and responsibility. An incident action plan can ensure that there will be an organizational structure when it comes to the flow of making decisions when incidents happen. It can also make it easier for reporting duties to be observed and instilled in all the members of the workforce. Through this, the interlinking of obligations of every entities when facing incidents can be properly established. You may also like work action plan examples. 3. 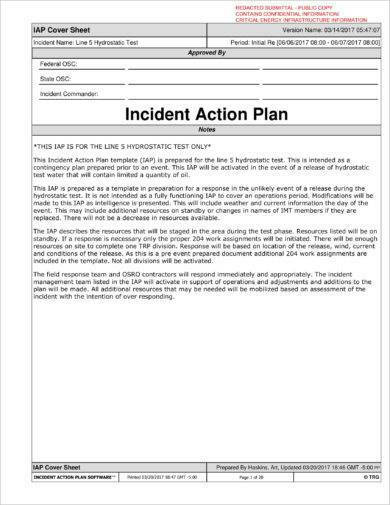 An incident action plan can help you thoroughly define the incidents that you need to prepare for and look into. Having this document at hand can give you the ability to itemize the incidents that may occur in the business location or within the transactions where your employees are immersed in. You may also check out business action plan examples. Knowing the possible incidents and how they can be triggered can make it easier for the business to know the specific measures that are needed to be done in a time-sensitive manner. 4. 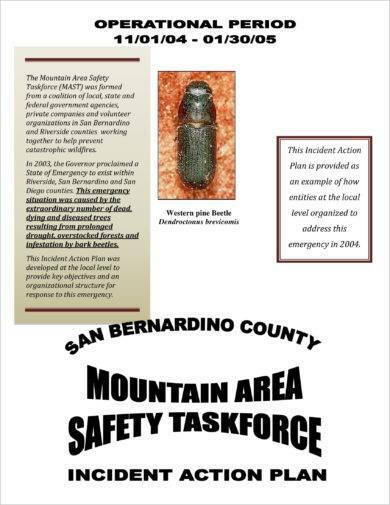 An incident action plan can outline the processes for incident preparation and/or investigation. 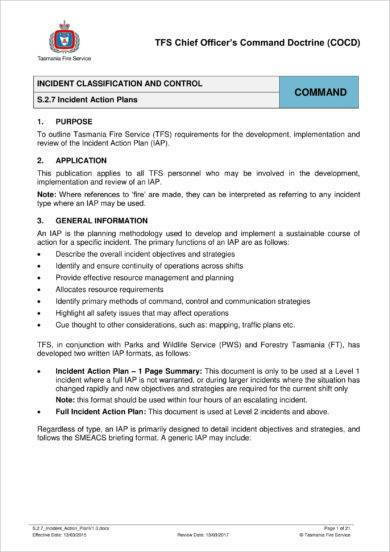 This document can layout all the important call-to-actions which will allow your business to make approaches for incident preparation. Moreover, it can also make it more efficient for you whenever there is a need to evaluate or assess incident reports within a particular time duration. 5. 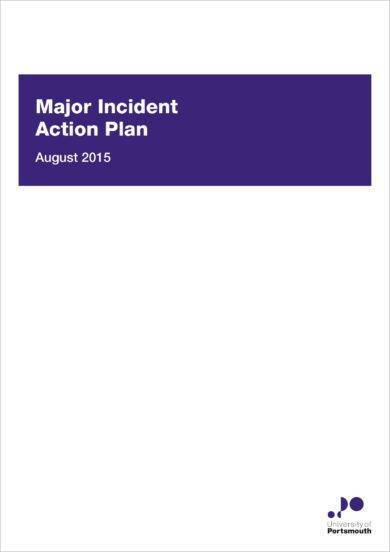 An incident action plan can make the implementation of incident responses more consistent. There are times where the workforce can panic and make unnecessary decisions that can actually put more harm not only to the entities involved in the incident but also to the brand and operations of the organization. You might be interested in budget action plan examples. If an incident action plan can be developed, it can help your workforce become more knowledgeable on how they can properly react every time incidents happen. An incident action plan can be a stand-alone document or it can also be incorporated in school action plans and other business documents. No matter how you will present your incident action plan discussion, it is imperative for you to ensure that you will make the document as complete and as understandable as possible. You have to develop a comprehensive incident action plan so that you can maximize the potential of its usage. 1. Ensure that you will come up with a relevant goal when making an incident action plan. It is important for you to think of the system for incident response that you would like to establish so that you can realize your objectives in a timely manner. You may also see sales action plan examples. 2. List down all the areas that you want to address related to incidents and the actions that you want your workforce to execute whenever necessary. Being able to think of all the possible incidents that can happen within your organization’s period of operations can help you be more keen and thorough when presenting action plans. You may also like corrective action plan examples. 3. Have a clear listing of the response strategies that you think are aligned with the resolutions that can be implemented by responsible entities during incidents. You have to come up with strategies and tactics that can support your desired actions as well as the vision that you have in terms of the development and usage of an incident action plan. You may also check out what is an action plan? 4. Create an organizational structure that can represent the roles of each members of the organizations during incidents. You can also incorporate the relationship of their functions to make the incident action plan execution process become clearer. Through this, you can make sure that point persons are aware of their specific obligations and tasks. You might be interested in strategic action plan examples. 5. Develop metrics of general assessment and evaluation so you can measure the weight and level of the incidents that you can potentially face. Doing this can help you plan accordingly in relation to how these incidents must be handled. Having metrics can also give you an idea on how you can look into incident situation updates as well as the development or improvement of your incident preparedness. 6. 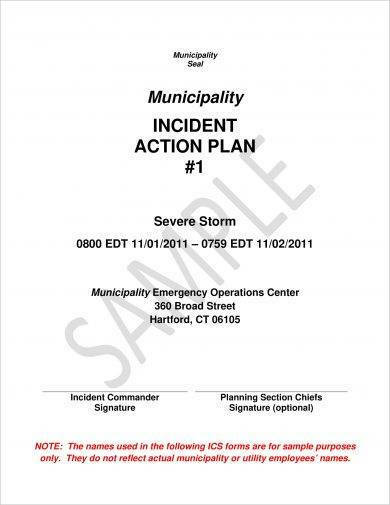 Present all the resources that you need to execute your incident action plan accordingly. These resources include the workforce that you must train, the materials and items that you need to have at hand so that there will be tools and equipment that are readily available to be used whenever incidents occur, and the financial support that you would like to ask from the management so you can acquire all the things that you need. You may also see free employee action plan examples. 7. Create other kinds of plans that are usable during incidents. You can present an overview of these plans in your incident action plan or you can also make the complete documents as attachments. As an example, you can develop a health, medical, and safety plan to prevent further damages or injuries from happening during incident investigations and response. You can also develop a communications plan that can guide the workforce on how to communicate with one another whenever incidents occur. 8. Have an incident map as well as a thorough process guide that should be aligned with one another. You need to know all the things that happened during the incident and you should always be aware of the incident-approach processes that you can incorporate in particular incident occurrences. This can help you maximize the benefits that you can get from having and using an incident action plan. You may also check out research action plan examples. 9. 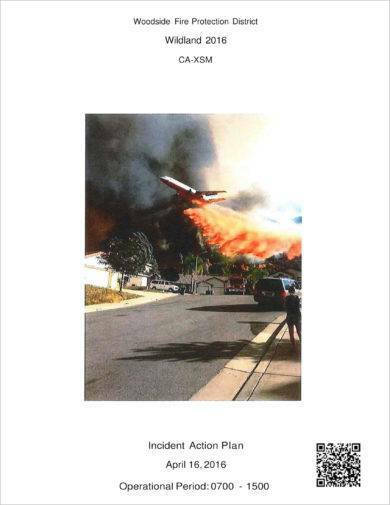 If there are additional or supplementary component plans that you would like to incorporate or include in your incident action plan, feel free to create these documents and assess how they can add value to your plan of action based on the incidents that you are dealing with or preparing for. You might be interested in career action plan examples. The development of an incident action report is on a case-to-case basis, which is why you have to ensure that you are fully knowledgeable of all the information about the incident/s at hand. 1. You need to be critical when listing down all the response strategy that you would like to use in specific incidents. You have to be aware that the items that you will present can actually affect the way people react during incidents. This is the reason why it is very crucial for strategies to be tested out first and/or be thoroughly reviewed before using it in actual incidents during business operations. You may also see corrective action plan examples. 2. Come up with an organized and well-arranged discussion for our incident action report. You have to create a document that is presentable and understandable so that your target audience can have the full idea of what you would like to do and what you would like them to be knowledgeable and aware of. You may also like team action plan examples. 3. 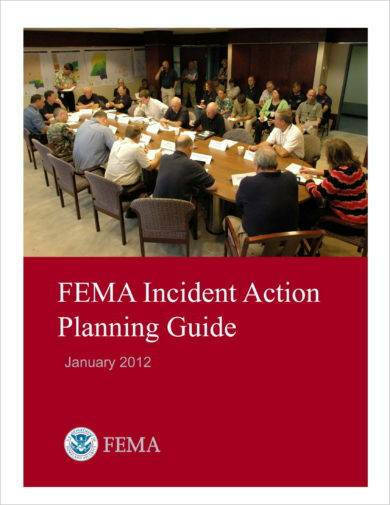 Allow your stakeholders to be involved in the development of your incident action plan. You have to view incidents and their occurrences in different angles so that you can also develop multi-faceted responses that can address issues related to incidents accordingly. You may also check out printable sales action plan examples. In this manner, your stakeholders can also feel that their rights and safety are considered whenever the management needs to create decisions and protocols for incident responses. 4. Review the final document that you came up with and ensure the validity and efficiency of all the information that you put together. It is essential for you to be aware about the sustainability and attainability of your simple action plans so that you can efficiently execute them whenever needed. Not every business establishment or organization has an incident action report. Even if some entities think that it is unnecessary, you still need to remember that prevention is always better than cure. 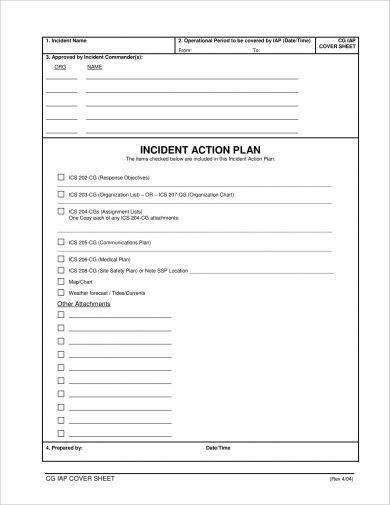 It may not be easy to create an incident action report on your own which is why we highly suggest the usage of our downloadable examples as well as other references like existing incident action reports, the previous incident action reports made by your business, and templates of the specified document. You might be interested in how to make an action plan examples. 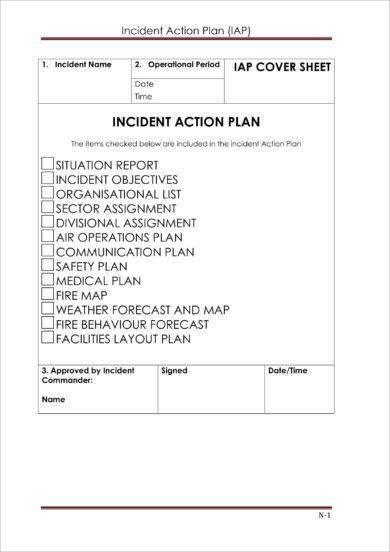 With the help of these references and the guidance of our discussion above, try to create the initial draft of your incident action report and develop or update it from time to time so you can come up with the incident action report that is fit and suitable for your business.